As well as our Sunday Services, we also hold a lunchtime Service on the 1st Thursday of each month at 12noon, with a soup lunch served afterwards. Tuesday 10.00 am til noon: Coffee morning - Free tea and coffee in the School Room behind the church. The Women's League meet on the 1st Thursday of the month at 1:30pm. We have a Knit and Natter Group which meets 2nd Friday of the month at 2.00pm. We usually hold a film night on 3rd Friday of the month at 7.00pm. We hold occasional religious education courses / discussions. 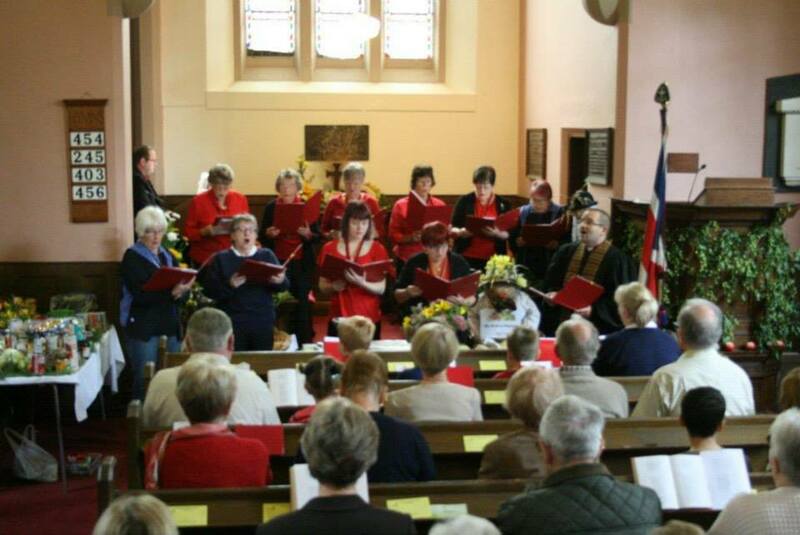 Kingswood has a small choir and craft group. The WI, Brownies, Rainbows, Guides, and Boys Brigade also have a home at Kingswood. Christmas Eve: Carol Service at 7.00pm. Christmas Eve: Communion Service at 9.00pm. Christmas Day: Family Service at 10.30am.